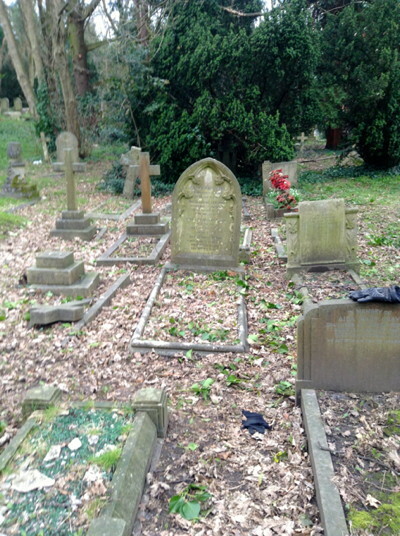 But when BBC TV contacted me to ask where his grave was, a little detective work was needed to track it down to the cemetery in Christchurch, Roxeth (near Harrow-on-the-Hill). And if you ever need to track me down, my office window is the one with the translucent image of a mauveine molecular orbital. This entry was posted on Monday, March 11th, 2013 at 4:31 pm and is filed under Interesting chemistry. You can follow any responses to this entry through the RSS 2.0 feed. You can leave a response, or trackback from your own site. 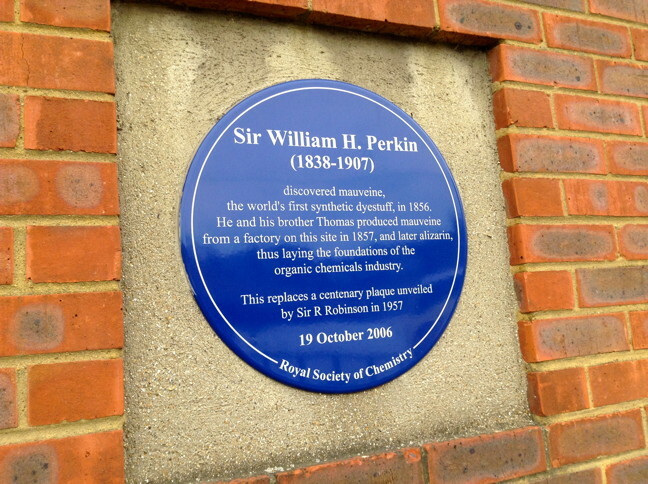 About a year ago, a new high school opened, south of Perkin's factory in Greenford and taking his name. 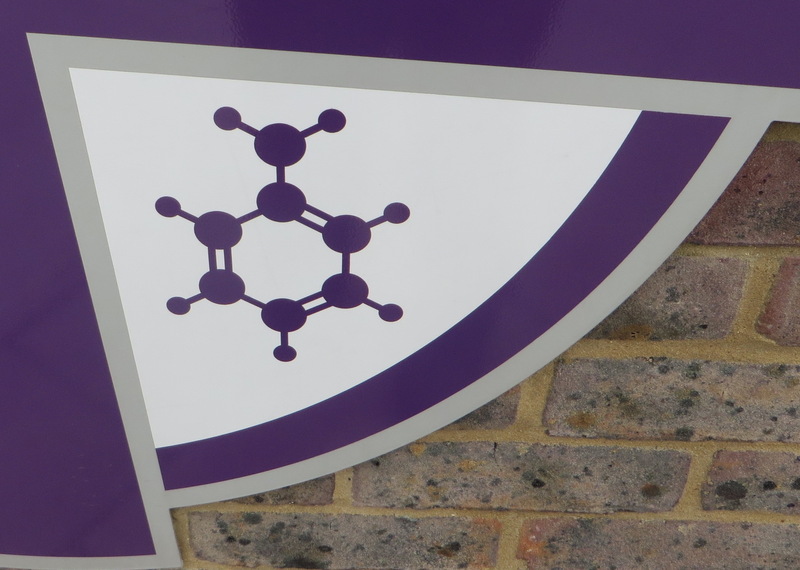 The school crest is interesting; I don't suppose too many school crests incorporate a molecule! 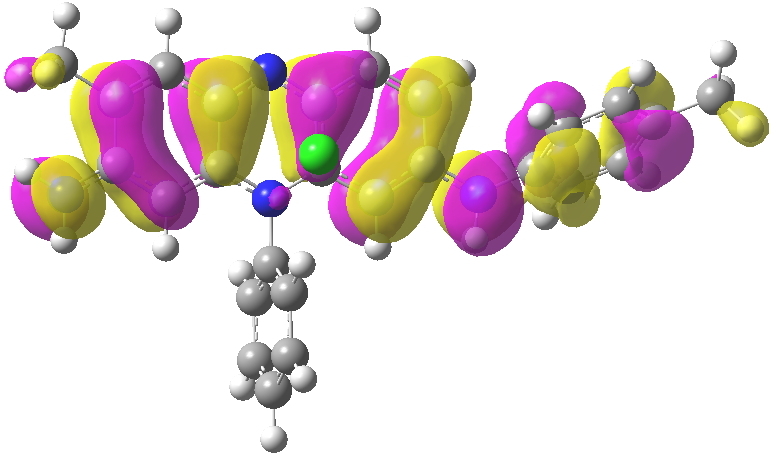 This one is of course aniline (and not the mauveine from which Perkin's fame accrues). I do wonder however why they did not pick p-toluidine instead of aniline, which molecule of course is where all those methyl groups in mauveine come. 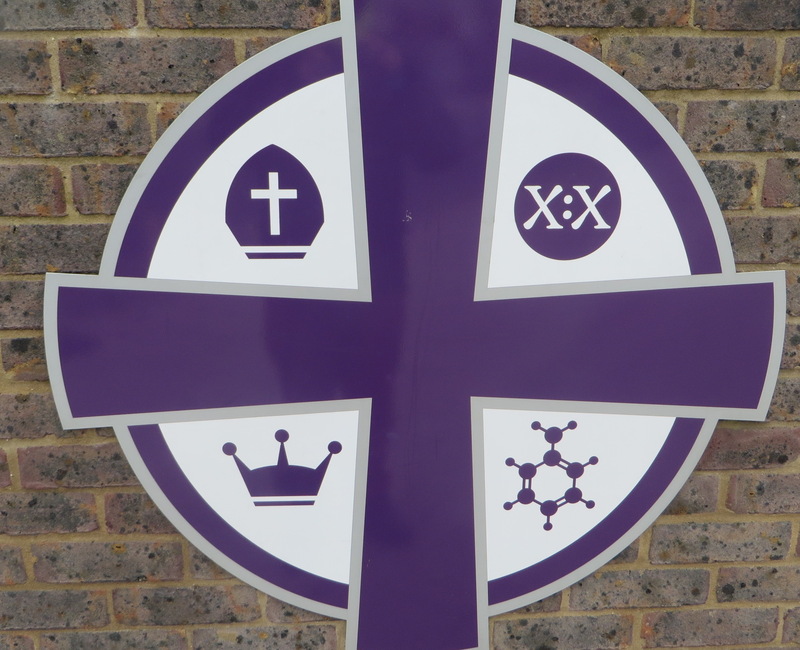 Perhaps there is also a subtle celebration of G. N. Lewis and the shared electron bond there as well (X:X)? 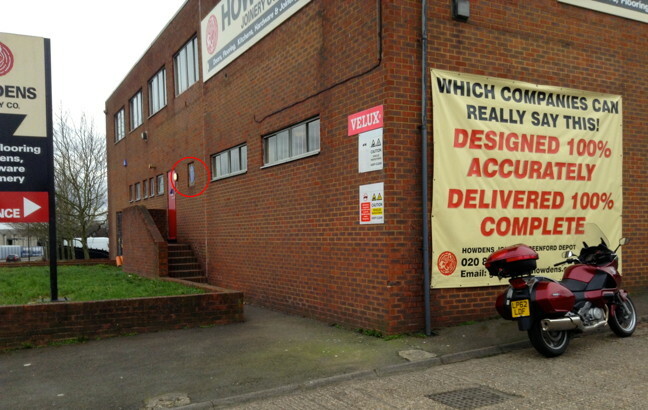 When I was young we lived at 459 Oldfield Road just up the road from the BlackHorse pub – now opposite the gates of GSK. It is now a Vets surgery. Anyway we were told that William Perkin once lived in that house – it is a very grand victorian place – but I never proved whether that was true. 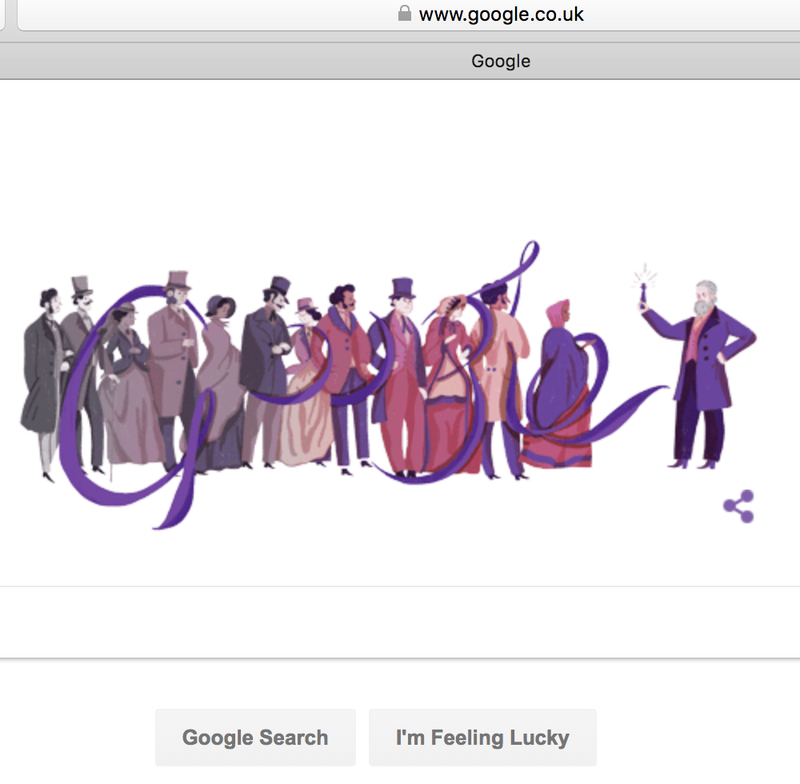 Today, March 12th, 2018, Google celebrate the 180th anniversary of William Perkin’s birth. 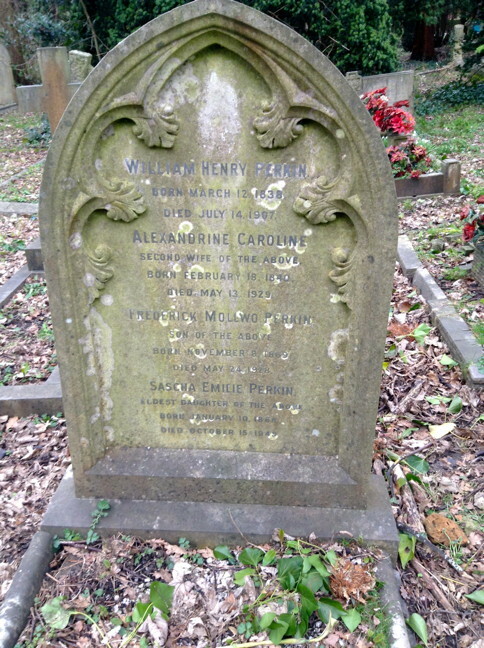 William Henry Perkin: The site of the factory and the grave. is licensed by Henry Rzepa under a Creative Commons Attribution-Noncommercial-Share Alike 3.0 United States License.